Some time ago, I was contacted by Mady Lutgen, a journalist working at the Lëtzebuerger Journal (national newspaper), for a small interview about me and my sewing skills. As I was on holidays during that time with poor Wifi connections, I was not even sure that my answers and pictures would find their way back to the author! 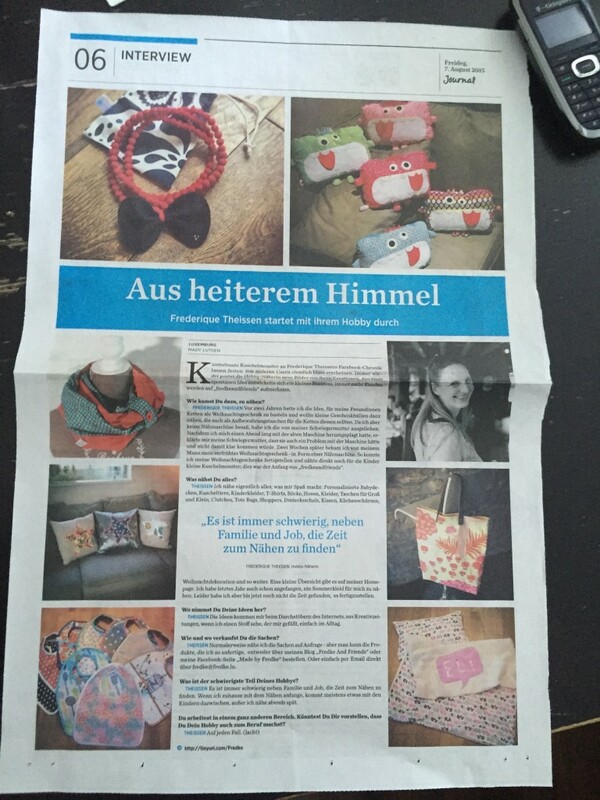 How surprised I was today when opening the newspaper seeing a whole page with my interview and a lot of pictures about my little homemade treasures. I’m in heaven!